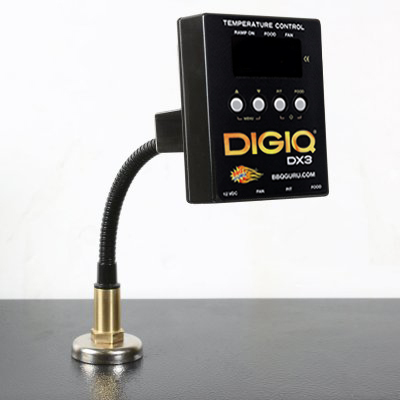 The all new flex neck magnet mount is designed for use with our DigiQ and CyberQ control models. Simply place it on any magnetic surface to conveniently hold your BBQ Guru controller. 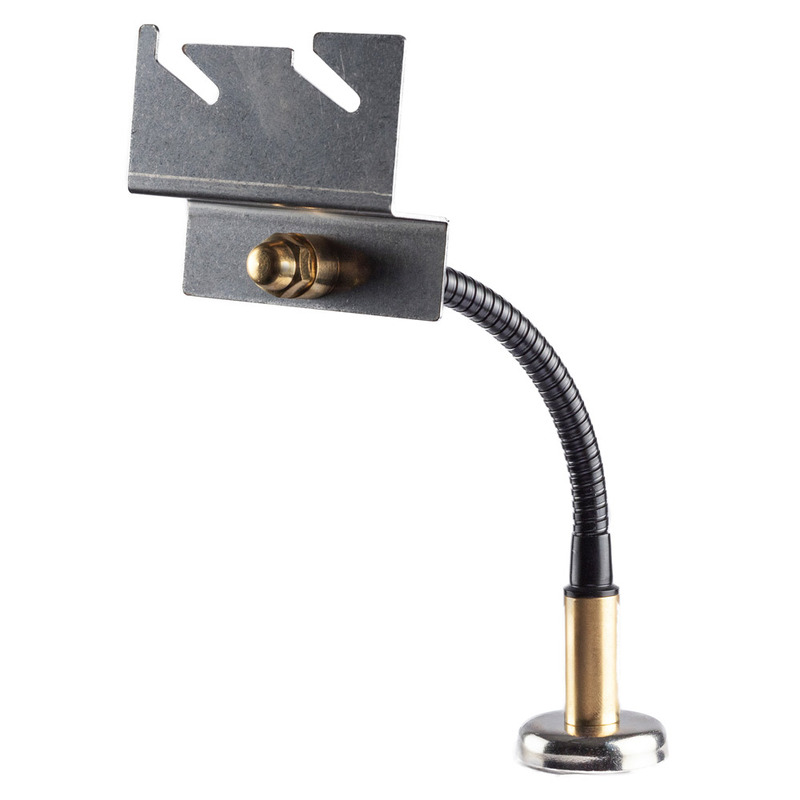 It has an extremely strong magnet that will hold your control securely to a cool spot on your smoker, steel table or trailer frame. The flex neck allows you to twist or turn the control to face you. Note: Hot surfaces will weaken any magnet. Magnets do not stick to aluminum or stainless steel. Temperature control units not included.